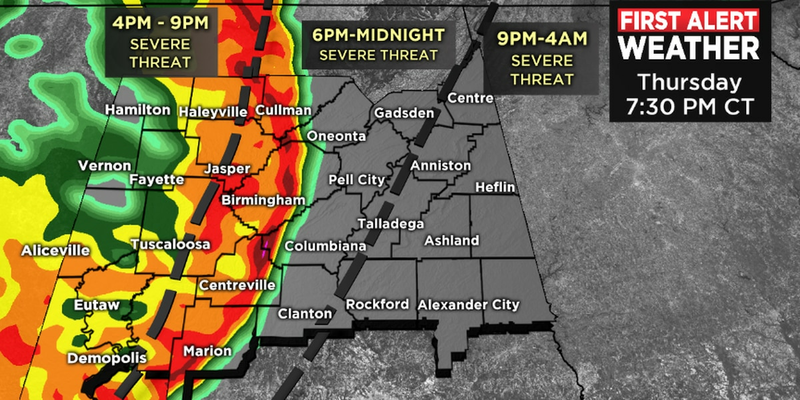 BIRMINGHAM, AL (WBRC) - First off, no severe storms are expected across our area tonight. A few scattered showers will be possible through midnight, with increasing clouds and temperatures falling into the 50s. WHAT TO EXPECT MONDAY MORNING: A line of heavier rain and storms will be weakening as it enters our western counties starting around 4 a.m. Monday morning. So I would plan on some wet weather for the drive in. The risk for severe weather Monday morning is very low. In fact, the morning round of rain will continue to weaken and we should catch some breaks by midday as temperatures rise into the 60s and low 70s. SEVERE THREAT TIMING: The severe risk for Monday will be in the afternoon and evening hours (1 to 7 p.m.). The storms and rain will start to re-develop after lunchtime and move southeast across the area. SEVERE RISK AND THREATS: This will be a marginal severe risk and we’re more concerned about large hail and damaging straight-line wind gusts. The primary severe risk will be across south and southeast counties. Stay weather alert on Monday afternoon and check the weather app for updates. THE REST OF THE WEEK: High temperatures will tumble into the 60s, with a north wind on Tuesday. We will have some clouds to start off but we should have gradual clearing later in the day. We will experience some of the coldest weather of the week during the morning hours on Wednesday and Thursday, with lows in the upper 30s and low 40s. The good news is I’m expecting lots of sunshine each day, which will produce some comfortable afternoons. Highs by Thursday will rebound into the 70s. Friday will be another warm and partly sunny day; however, new guidance supports the chance for a few showers on Saturday, mainly over West Alabama. SPRING BREAK WEEK: The big weather story for spring break week will continue to be Monday’s rainmaker that will impact the Smoky Mountain region during the day and the Gulf Coast during the evening and overnight. After this system passes, you can expect a return to dry weather by mid-week. Temps will feel quite chilly in the mountains, with clouds and highs in the 50s on Tuesday and lows in the 40s and upper 30s. Sunshine will return to places like Gatlinburg by Wednesday. Temps will top out in the mid to upper 60s through mid-week along the coast, with sunshine through mid-week; lows will be in the 40s. Average sea surface temperatures are in the 60s. 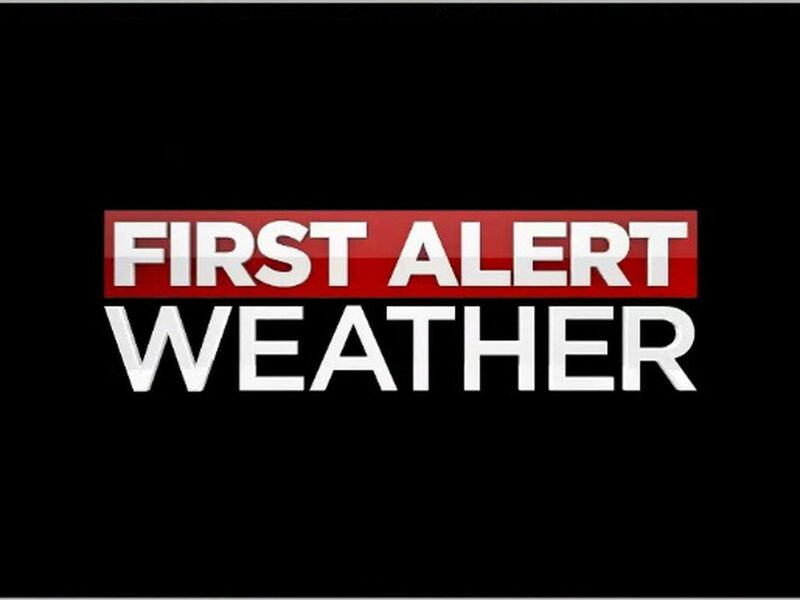 I will have more details on the spring break forecast and the storm threat at 9, 9:30 and 10 p.m. on WBRC FOX6!